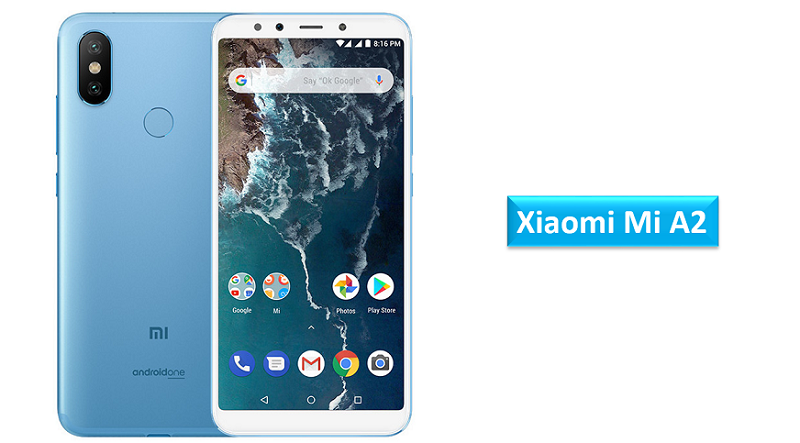 Xiaomi launched the company’s latest Xiaomi Mi A2 Android One smartphones as it had promised after one year from the Xiaomi Mi A1 smartphone launch. The specifications are almost similar to Mi 6X smartphone, as it is a global version of this smartphone. To recall its specification, it sports a 5.99-inch FHD+ 18:9 display. It is powered by Snapdragon 660 with up to 6GB RAM and runs on Android 8.1 (Oreo). It has a unibody metal design and have a Fingerprint sensor on the back of phone. It has dual rear cameras, the primary is a 12 MP rear camera with f/1.75 aperture, Sony IMX486 sensor, and the secondary is a 20 MP rear camera with Sony IMX376 sensor to capture depth information for portrait shots with AI. It has intelligent scene detection and has auto sensor section. On the front side it has same 20-megapixel Sony IMX376 sensor with soft LED flash and AI beautification. Both, these 20MP have sensor that uses pixel binning technology, combining the information from four pixels to create one large 2.0µm pixel. We are thrilled to finally launch our much-anticipated Mi A2 in India. After witnessing tremendous success of our Mi A1 last year, we’re ready to further expand our Android One lineup by offering the truly innovative Mi A2 with the best specs at an incredibly honest pricing. We are positive that our Mi Fans and customers across India will wholeheartedly enjoy every bit of the unique user experience that Mi A2 offers, while making the most of this commendable innovative technology which they undoubtedly deserve. The mobile sports a 5.99-inch Full HD+ 2.5D curved glass display with 1500:1 Contrast ratio with a resolution of 2160×1080 pixels. It is powered by Octa Core Snapdragon 660 14nm Mobile Platform (Quad 2.2GHz Kryo 260 + Quad 1.8GHz Kryo 260 CPUs) with Adreno 512 GPU and runs on Android 8.1 (Oreo). The device comes with two variants 4GB LPDDR4x RAM with 32GB/64GB (eMMC 5.1) storage and 6GB LPDDR4x RAM with 128GB (eMMC 5.1) storage. It has dual rear cameras, the primary is 12MP rear camera with LED flash, f/1.75 aperture, Sony IMX486 sensor, 1.25μm pixel size, the secondary is 20MP camera with Sony IMX376 sensor with f/1.75 aperture, 4 in 1 – 2.0um pixels. On the front side it has 20MP front-facing camera with Sony IMX376 sensor, 4 in 1 – 2.0um pixels soft LED flash. The mobile supports Dual 4G VoLTE, Wi-Fi 802.11 ac (2.4GHz / 5GHz), Bluetooth 5 LE, GPS + GLONASS, USB Type-C. It has Dual SIM and comes with Infrared sensor and Fingerprint sensor on the back of phone. The mobile packs 3010mAh (typical) / 2910mAh (minimum) battery. It has a size measurement of 158.7×75.4×7.3mm and weight is 168g. The Xiaomi Mi A2 comes is priced at Rs. 16,999 for the 4GB RAM with 64GB RAM version, but the 6GB RAM with 128GB storage version will be available soon. These smartphones are available in Lake Blue, Gold, Rose Gold and Black colors, and pre-order starts from today August 9th on Amazon.in and also available on mi.com. For, Jio users it also comes with Rs. 2200 instant cashback (in the form of vouchers) and 4.5TB additional data for Jio users. Share your views with us on Xiaomi Mi A2 launched in India in the comment section below.